The Heirisson Prong Project aims to re-establish rare and endangered mammals on a mainland peninsula at Shark Bay, Western Australia. Thirty species of unique Australian mammals have become extinct on mainland Australia since European settlement, but of these a third have survived on offshore islands. Our aim is to understand why species have become extinct on the mainland, to develop and implement management techniques which allow the re-establishment of those species surviving on islands, and to transfer and husband a number of species to the point where they become self-supporting and provide a demonstration of how such species can be effectively re-established on the mainland. Management of the Heirisson Prong conservation reserve for endangered species requires the exclusion of foxes and feral cats. This is imperative as invading foxes can kill bettongs at the rate of 1 - 2 per night. Feral cats, also, are potent killers of both bettongs and bandicoots. Total exclusion requires regular fence maintenance to protect a core area of 12 square kilometres, and the tracking, trapping and poisoning of predators reinvading the adjoining buffer zone. Foxes and feral cats are controlled in this buffer zone of 200 square kilometres to minimise or eliminate reinvasion into the core protected area. Regular monitoring by spotlighting and track surveys and trapping in both core and buffer areas provides information on the changing abundance of foxes, feral cats, and rabbits as well as reintroduced bettongs, bandicoots and stick-nest rats. Trends in abundance over time provides information on the interactions between these species and the effectiveness of management actions. 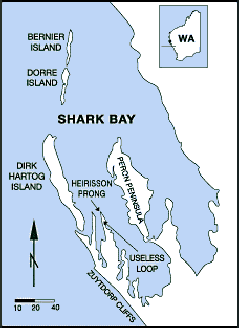 The use of peninsulas to conserve reintroduced wildlife was pioneered on Heirisson Prong. Such peninsulas provide the opportunity to exclude exotic predators (foxes and cats) from large areas with greatly reduced costs for fencing. On Heirisson Prong, 12 square kilometres are protected by a 1.8 km fence. Similar projects have been established on Venus Bay Peninsula in South Australia and Peron Peninsula in Western Australia. 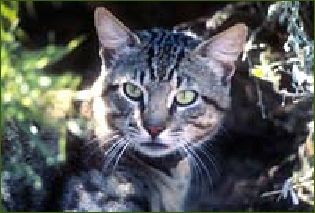 Methods developed on site for the control of feral cats are now being used increasingly at other conservation sites across Australia. In 1989, a group of community members formed the Useless Loop Community Biosphere Project Group Inc. (ULCBPG) and initiated a project to convert nearby Heirisson Prong from pastoral land-use to a conservation reserve for native flora and fauna. Modelled on the UNESCO “Man and the Biosphere” program, the project sought to reconcile utilisation of natural resources (salt harvesting, sheep farming) with the protection and enhancement of natural values (wildlife conservation, recreation). The Useless Loop community, with the support of SBSJV, have taken on vital management roles, including fence construction and maintenance, track maintenance, predator control through regular ground and aerial baiting, trapping and shooting, and signage. Community members have assisted with the reintroduction of three threatened mammals: burrowing bettongs, western barred bandicoots and greater stick-nest rats. Quarterly monitoring of the populations by scientists, community members, student and Earthwatch volunteers has been a necessary component of the project to gather vital information about the techniques for population establishment, and ecological data to assist with their management, both at Heirisson Prong, and future reintroduction sites. The participants have promoted the use of the project for education and stimulated media interest to disseminate results at a national and international scale. Heirisson Prong provides a safe haven for threatened mammals, a refuge for local species that are threatened by the presence of introduced predators, rabbits and livestock in their remaining habitat, and a source of animals for translocation to other conservation reserves in Australia. The hope of the community is that these benefits continue indefinitely. 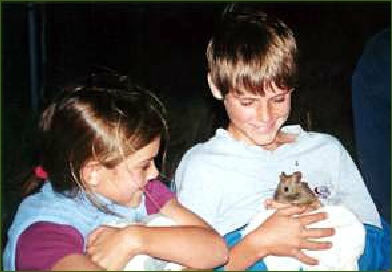 Three species of endangered mammal have been reintroduced as part of this project: the burrowing bettong in May 1992, the western barred bandicoot in November 1995, and the greater stick-nest rat in August 1999. 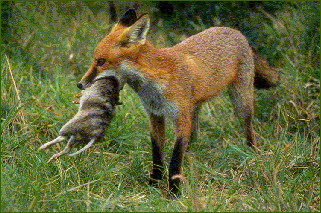 Considerable research effort has been directed at establishing effective methods for the eradication of foxes and feral cats from Heirisson Prong and in establishing effective release techniques that minimise dispersal of animals once released. The survival of all species is critically dependent on the absence of exotic predators.